Why would learning something new be stressful? This could be for a number of reasons, but a main reason is fear. Fear of the unknown, fear of feeling silly if you don’t understand something new, fear of exams, fear of moving forward, fear of a new commitment. After working with new learners for a number of years, we have seen one or more of these fears. These are legitimate fears but fears which can be worked through and supported to ensure a positive outcome to new learning. 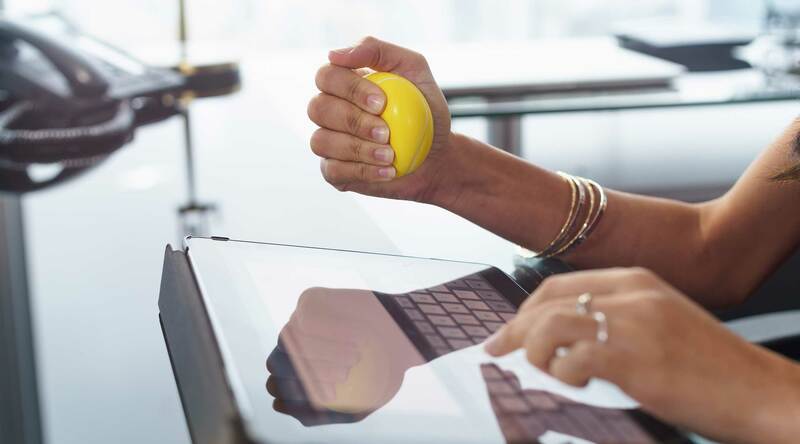 This month, April, is Stress Awareness month and we thought this was the right time and opportunity to help you face your fear when learning something new. The post is not limited to this month and therefore we hope you can come back and read whenever one of these fears reaches out to you. What is the unknown? It happens from the moment we are born and when we start to learn to clap our hands or to start walk. Everything is an unknown until we take up the challenge and start learning. So the fear of learning something new, comes from not really knowing what is involved with the study, the tests and also what you need to accomplish at the end of what you would love to know more about. Yes, you need to face the unknown to achieve greater knowledge. We all feel like this at one stage in our lives. It could be from when you are watching everyone else walk along a balance beam in school gymnastics but you have tried before and fallen off. The way of overcoming this fear of feeling silly, is to realise that everyone of us is good at something that others are not. We cannot all be the same, don’t hinder your learning of something new because of this fear. Imagine you are an adult returning to study and you have the worst memories of school and exams and this is stopping you from further studies. If this is the case, then researching a training facility, a further education college is the most important research you can do. It is imperative you find out about the support you will receive, the tutors you will have and start alleviating the fears you have which will stop you learning. This is a fear which, although understandable, is a fear which you need to stall. Moving forward in life or in your career can only make you feel more empowered and more successful. It can be hard to imagine moving out of the comfort zone you are currently in but look around you, are people around you moving forward? What does that look like to you? Do not fear moving forward, embrace it. The reason you may feel this, is because you may not feel you have enough time, perhaps you are not ready to meet other people. A new commitment can be difficult and taking the first step into your new commitment can seem daunting, but take the first step and take it from there. Move forward slowly, but keep moving forward. So now is the time to start facing your fears, stop stressing about an unknown and move your life and/or your career in a step in the right direction by learning.